In late 2014, Intel and watchmaker Fossil Group announced they were going to develop fashionable smartwatches, and we've finally received glimpse of the wearables. During IDF, Fossil showed off three Intel smartwatches, powered by Google Android Wear, with all three expected during Q4 this year. 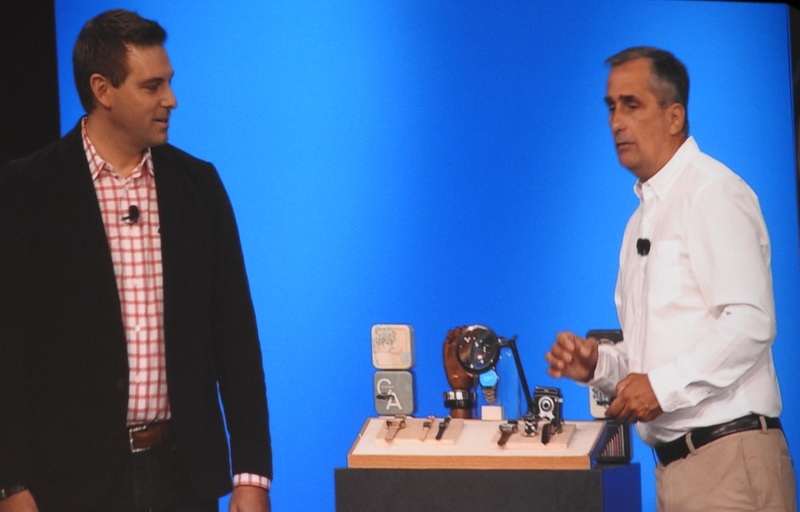 Intel CEO Brian Krzanich and Fossil SVP Gregory McKelvey announced the watches during the opening keynote of the 2015 Intel Developer Forum (IDF). Designed for consumers seeking fashionable, yet tech-centric smartwatches, it looks like Fossil wants to take aim at the Apple Watch. One watch looks quite similar to the Motorola Moto 360, and features a silver finish, leather straps and a black bar type look that many of you may already be familiar with. Pricing information, an exact release date, and additional information should be available soon.